We have a dynamic range of services which cover the entire field of water vole mitigation from site surveys to project planning, licencing, capture, holding, breeding, re-release and monitoring. 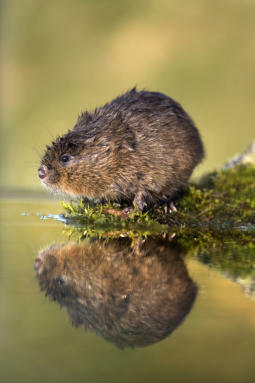 We are able to provide a full, detailed and professional advisory service for water vole mitigation and conservation. • Site surveys. • Environmental impact assessments. • Population conservation plans. • Mitigation plans. • Liaison with the statutory authorities. • In-situ mitigation options. • Ex-situ-mitigation options. • Receptor site identification. • Capture, holding& translocation expertise and facilities. • Replacement habitat design and planting. • Post release monitoring plan • Veterinary assessment • Media liaison and PR. • Species specific training courses.